By looking at the barriers holding women back and the social forces constraining them, Women Don't Ask shows women how to reframe their interactions and more accurately evaluate their opportunities. It teaches them how to ask for what they want in ways that feel comfortable and possible, taking into account the impact of asking on their relationships. And it teaches all of us how to recognize the ways in which our institutions, child-rearing practices, and unspoken assumptions perpetuate inequalities--inequalities that are not only fundamentally unfair but also inefficient and economically unsound. With women's progress toward full economic and social equality stalled, women's lives becoming increasingly complex, and the structures of businesses changing, the ability to negotiate is no longer a luxury but a necessity. 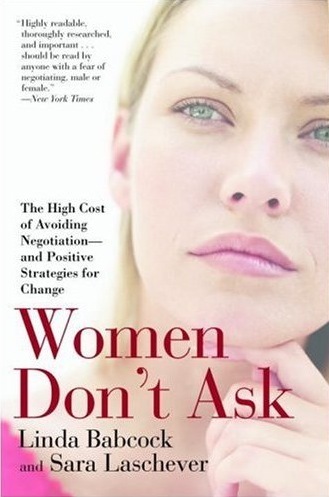 Drawing on research in psychology, sociology, economics, and organizational behavior as well as dozens of interviews with men and women from all walks of life, Women Don't Ask is the first book to identify the dramatic difference between men and women in their propensity to negotiate for what they want. It tells women how to ask, and why they should.